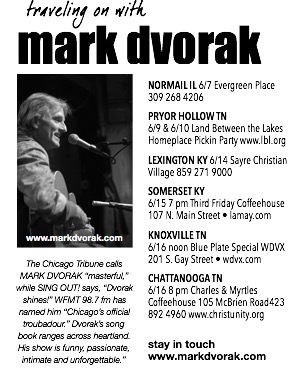 SOMERSET KY - The 3rd Friday Folk series welcomes Chicago’s "official troubadour" Mark Dvorak back to the Carnegie Community Arts Center on Friday, June 15 at 7:00 pm. The Center is located at 107 N. Main Street. “At this stage of the game,” said Dvorak, “I feel like I’m doing my best work. I’m hoping to get the new CD out this year and I’m very excited about it. I’ve got some new material coming along, and I’m including a bunch of different things I like to do before a live audience. Distinguished songwriter Jim Stout will open the show. General admission is $10 suggested. Reservations are recommended. 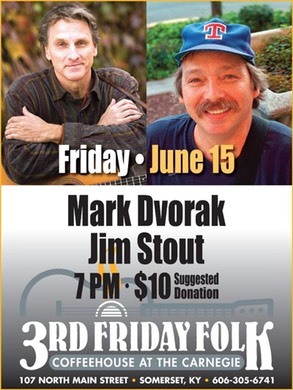 To reserve a seat call or text 606 305 6741 or email 3rdfridayfolk@lamay.com. 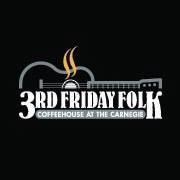 For more information on the 3rd Friday Folk series, visit http://lamay.com/3rdFridayFolk.htm. For more information on Mark Dvorak visit www.markdvorak.com. Get in touch here if you need something or have a good idea: info@markdvorak.com.